UPDATE: This event has been postponed. When the event is rescheduled, this news release will be updated. North Carolina Sea Grant experts Barry Nash and Chuck Weirich will discuss consumer appetites for lesser-known seafood. For over a decade, North Carolina Sea Grant has studied consumer opinions to help businesses better understand the kinds of seafood that people want to buy. 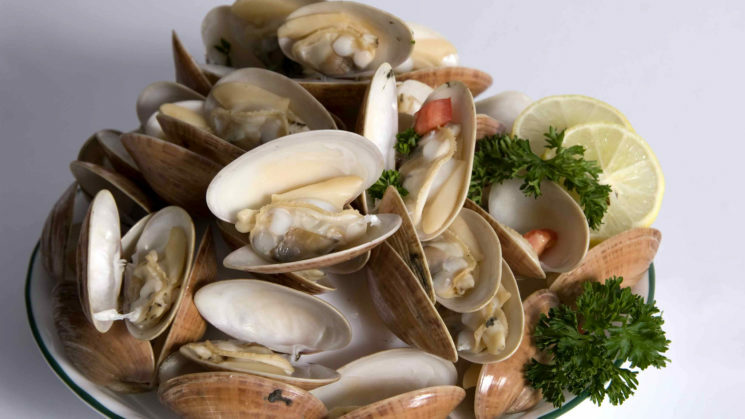 This month’s Coastal Science Cafe will provide an overview of North Carolina Sea Grant’s research techniques for gathering consumer information and also allow attendees to participate in a survey about sunray Venus clams, a species native to North Carolina. In addition to North Carolina Sea Grant, partners for the event include The Science House at NC State’s Center for Marine Sciences and Technology, Bistro Diner’s Club and Bistro Buddies Foundation. Festivities kick off at 6 p.m.